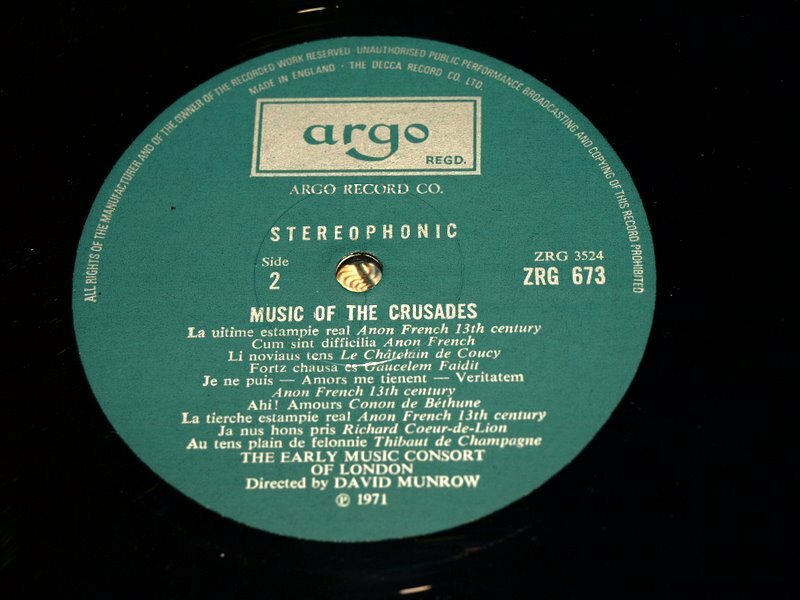 With folk and ethnic recordings on their own ZFB series and spoken word largely confined to the PLP/ZPL series, the longest-running Argo series (RG/ZRG) devotes itself entirely to classical music, except that no more RG (mono) releases are issued – it’s all in stereo (ZRG) now. Lots of ‘early’ music, including the first for Argo from David Munrow and the Early Music Consort of London. ~ by folkcatalogue on July 18, 2010.